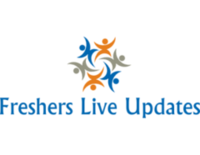 HLL life care HLL recruitment 2017 proposes to receive the application from applicants in Online Mode. Eligible candidates can submit their application to HLL life care HLL before 03/5/2017. All those aspiring to apply can check out various information like eligibility criteria, salary, Total vacancy, Selection Procedure, Job description, last date, Application procedure and other key information required for the post below. Consolidated Pay Range: Rs. 10,000/- to 20,000/- per month. Essential Experience: Minimum 2-4 years plus relevant post qualification experience. Interested and eligible candidates can apply before 03/5/2017. Selection Will be Based either Written Exam/Interview by the HLL life care HLL norms or decision.